Alexander, M., 2003. Click for joy!. 1st ed. Waltham, MA: Sunshine Books,. Aloff, B., 2001. Positive reinforcement. 1st ed. Neptune City, N.J.: T.F.H. Donaldson, J., 2002. Mine!. 1st ed. San Francisco, Calif.: Kinship Communications. Donaldson, J., 2010. Dogs are from Neptune. 1st ed. Wenatchee, Wash.: Dogwise Pub. Ducommun, D., 2008. The Complete Guide to Rat Training. 1st ed. Neptune City: TFH Publications. Fisher, G., 2009. The thinking dog. 1st ed. Wenatchee, Wash.: Dogwise Pub. Grandin, T. and Johnson, C., 2010. Making animals happy. 1st ed. London: Bloomsbury. Kirkham, L., 2012. Tell your dog you're pregnant. 1st ed. Melbourne, Australia: Little Creatures Pub. McConnell, P., 2003. The other end of the leash. 1st ed. New York: Ballantine Books. McGreevy, P., 2010. A modern dog's life. 1st ed. New York: Experiment. Miller, P., 2008. The power of positive dog training. 1st ed. Hoboken, N.J.: Wiley Pub. Pelar, C., 2005. Living with kids and dogs-- without losing your mind. 1st ed. Woodbridge, VA: C&R Publishing. Pryor, K., 2002. Don't shoot the dog!. 1st ed. Dorking, Surrey: Ringpress Books Ltd.
Rugaas, T., 2006. On talking terms with dogs. 1st ed. Wenatchee, Wash.: Dogwise Pub. Silvani, P. and Eckhardt, L., 2005. Raising puppies & kids together. 1st ed. Neptune City, NJ: TFH Publications. Stewart, G., 2012. The official ahimsa dog training manual. 1st ed. 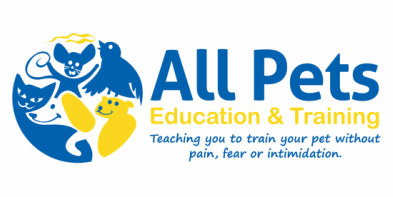 Seattle, WA: Ahimsa Dog Training. Sundance, K., 2007. 101 dog tricks. 1st ed. Gloucester, Mass. : Quarry Books. Wilde, N., 2006. Help for your fearful dog. 1st ed. Santa Clarita, CA: Phantom Pub. How to behave Yin, S., n.d. How to behave so your dog behaves. 1st ed. Neptune City, NJ: T.F.H. Publications, c2010.